Architect Rem Koolhaas (born November 17, 1944) is one of the most innovative and cerebral architects of the 21st century. 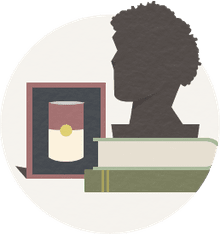 He has been called a Modernist, a Deconstructivist, and a Structuralist, yet many critics claim that he leans toward Humanism. Koolhaas's work searches for a link between technology and humanity. Although he was born in in Rotterdam, the Netherlands, Remment Lucas Koolhaas spent four years of his youth in Indonesia, where his father served as cultural director. Following in the footsteps of his literary father, the young Koolhaas began his career as a writer. He was a journalist for the Haase Post in The Hague and later tried his hand at writing movie scripts. Koolhaas's writings won him fame in the field of architecture before he completed a single building. After graduating in 1972 from the Architecture Association School in London, he accepted a research fellowship in the United States. During his visit, he wrote Delirious New York, which he described as a "retroactive manifesto for Manhattan" and which critics hailed as a classic text on modern architecture and society. In 1975, Koolhaas founded the Office for Metropolitan Architecture (OMA) in London with Madelon Vriesendorm and Elia and Zoe Zenghelis. Zaha Hadid was one of their first interns. Focusing on contemporary design, the company won a competition for an addition to the Parliament in The Hague and a major commission to develop a master plan for a housing quarter in Amsterdam. Their early work included the 1987 Netherlands Dance Theater, also in The Hague, Nexus Housing in Fukuoka, Japan in 1991, and Kunsthal, a museum in Rotterdam in 1992. Delirious New York was reprinted in 1994 under the title Rem Koolhaas and the Place of Modern Architecture. The same year, Koolhaas published S,M,L,XL in collaboration with the Canadian graphic designer Bruce Mau. Described as a novel about architecture, the book combines works produced by Koolhaas's architectural firm with photos, plans, fiction, cartoons and random thoughts. The Euralille Master Plan and Lille Grand Palais on the France side of the Chunnel Tunnel was also completed in 1994. If all this wasn't enough, the Educatorium at the University of Utrecht was also being constructed between 1992 and 1995. Perhaps the most famous house built for a man in a wheelchair, Maison à Bordeaux in Bordeaux, France was completed in 1998. When he was in his mid-50s, Koolhaas won the prestigious Pritzker Prize in 2000. His work after that has been iconic — Netherlands Embassy, Berlin, Germany (2001); Seattle Public Library, Seattle, Washington (2004); CCTV Building, Beijing, China (2008); Dee and Charles Wyly Theatre, Dallas, Texas (2009); Shenzhen Stock Exchange, Shenzhen, China (2013); Bibliothèque Alexis de Tocqueville, Caen, France (2016); Concrete at Alserkal Avenue, Dubai, UAE (2017; and his first residential building in New York City at 121 East 22nd Street. 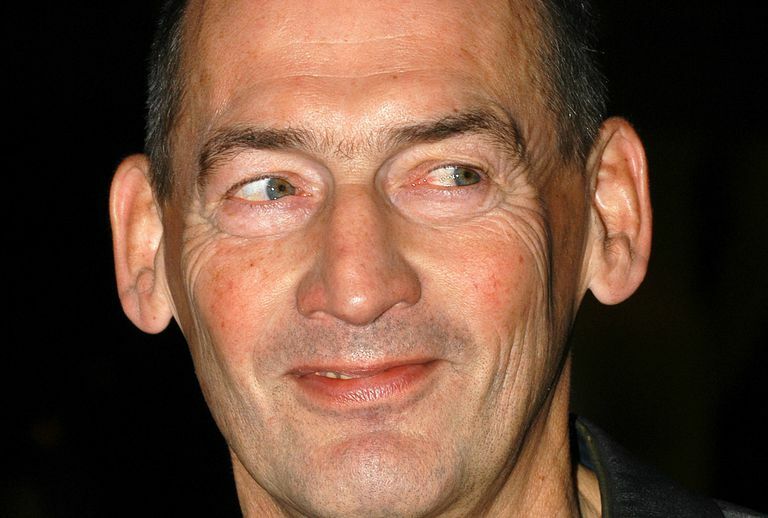 In 2004, Koolhaas was awarded the RIBA Gold Medal. A few decades after founding OMA, Rem Koolhaas reversed the letters and formed AMO, a research reflection of his architecture firm. "While OMA remains dedicated to the realization of buildings and masterplans," states the OMA website, "AMO operates in areas beyond the traditional boundaries of architecture, including media, politics, sociology, renewable energy, technology, fashion, curating, publishing, and graphic design." Koolhaas continues to do work for Prada and in the summer of 2006 he took on creating the Serpentine Gallery Pavilion in London, UK. Who Is Rem Koohaas, Really? In their Citation, the Pritzker Prize Jury in 2000 described the Dutch architect as "that rare combination of visionary and implementer — philosopher and pragmatist—theorist and prophet." Critics have argued that Koolhaas ignores all consideration for beauty and taste. The New York Times declares him to be "one of architecture’s most influential thinkers." The man on the street describes Koolhaas designs as "the result of architecture that wants to be different, only different." The McCormick Tribune Campus Center in Chicago is a good example of Koolhaas problem-solving. The 2003 student center is not the first structure to hug a rail — Frank Gehry's 2000 Experience Music Project (EMP) in Seattle has a monorail that goes directly through that museum, like a Disney extravaganza. The Koolhaas "Tube" (made of corrugated stainless steel in homage to Gehry?) is the real deal — the city train that connects Chicago with the 1940s campus designed by Mies van der Rohe. Not only was koolhaas thinking about urbanist theory with the exterior design, but before designing the interior he set out to document student patterns of behavior to create practical pathways and spaces inside the student center. Rem Koolhaas is so different that scholars have hard time classifying him. Does Koolhaas even have a style? A concrete and stainless steel tube encloses the commuter rail over the 2003 McCormick Tribune Campus Center at the Illinois Institute of Technology, raising an underground system to visual heights. That's not the first time Koolhaas played with trains. His Master Plan for Euralille (1989-1994) has made the northern city of Lille, France into a tourist destination. Taking advantage of the "Chunnel" completion, Koolhaas took the challenge to remake the city. Says Koolhaas, "Paradoxically, at the end of the 20th century, the frank admission of the Promethean ambition — for example, to change the destiny of an entire city — is taboo." Say, what? Most of the new buildings for the Euralille project were designed by French architects, except for Congrexpo, which the Dutch Koolhaas designed. "Architecturally, Congrexpo is scandalously simple," describes the architect's website. "It is not a building that defines a clear architectural identity but a building that creates and triggers potential, almost in an urbanistic sense." No style? The 2008 headquarters of China Central Television is a Beijing robot. Yet The New York Times writes that it "may be the greatest work of architecture built in this century." These designs, like the 2004 Seattle Public Library, defy labels. The Library appears to be made up of unrelated, disharmonious abstract forms, having no visual logic. And yet the free-flowing arrangement of rooms is founded in logic and functionality. That's Koolhaas — he thinks forward and backwards, all at the same time. But never mind the theoretical mumbo-jumbo. How are we to respond to structures with glass floors or erratically zigzagging stairs or shimmering translucent walls? Has Koolhaas ignored the needs and aesthetics of the people who will occupy his buildings? Or, is he using technology to show us better ways to live? According to the Pritzker Prize Jury in 2000, Koolhaas's work is as much about ideas as it is buildings. He became famous for his writings and social commentary before any of his designs were constructed. And, some of his most celebrated designs are still only on the drawing board. Koolhaas has said on many occasion that only 5% of his designs ever get built. "That's our dirty secret," he told Der Spiegel. "The biggest part of our work for competitions and bid invitations disappears automatically. No other profession would accept such conditions. But you can't look at these designs as waste. They're ideas; they will survive in books." Answering the question "Who is Rem Koolhaas?" is like answering the question What is architecture? Definitive solutions only pose more thorny questions. Like this one: Is Rem for real? "We have, in a certain sense, turned away from the Constructivists because they were being horribly misused. Dutch architecture seemed in danger of becoming a repetition of three buildings, which is why we decided to back off." "As more and more architecture is finally unmasked as the mere organization of flow—shopping centers, airports—it is evident that circulation is what makes or breaks public architecture...."
"Rem's approach to architecture represents a possibility of re-connecting with reality, finding opportunities to make architecture everywhere....So in his buildings, details address the everyday life rituals, lifestyles, conventions rather than simply delivering manual-like tried and tested details. The Bordeaux House, the Kunsthal, the Porto concert hall, the Dutch Embassy in Berlin are full of these significant small-scale inventions...."
"Architecture is a dangerous mixture of power and impotence." In addition to Zaha Hadid, the people who have worked with Rem Koolhaas over the years is a Who's Who list of brilliant architects. Joshua Prince-Ramus, founding partner of OMA in New York City, was instrumental on the Seattle Library project. Bjarke Ingels also worked on the Seattle project. Chicago architect Jeanne Gang worked on the Maison à Bordeaux before tackling her Aqua high-rise. An architect's legacy is not simply in the buildings left behind, but also in the people moved forward.